It's the product I want. If it works well, it will buy back. Fiber Identifiers and Talk Set are essential installation and maintenance instrument in data networks, CATV and telecommunication networks. Fiber identifier can identify the optical fiber by detecting the optical signals transmitted through the cables. Talk Set combines in one set the functions of both a digital optical phone and a stabilized light source. It is usually used in pairs, and can work over 80km. 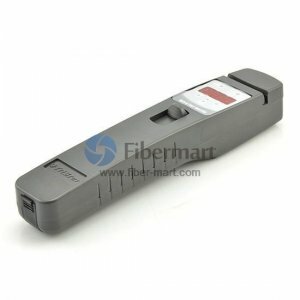 Fiber-Mart supply different types of Fiber Identifiers and Talk Set to meet you requirement, and they are with rechargeable battery and power supply adapter, so you can use them easily.